And so begins Chapter 2! What? 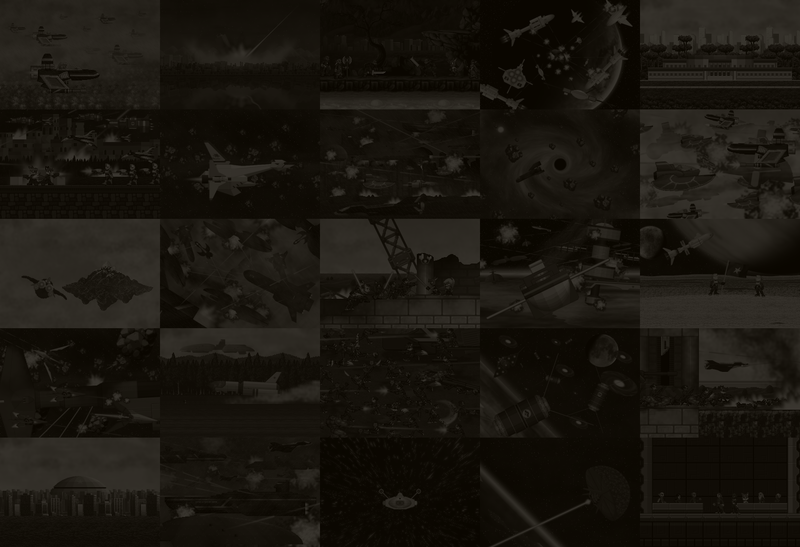 You didn't think Eon's World could go that long without a space battle, did you? Here's a funny story about Chapter 2. Since I moved to Edinburgh two years ago, I've dedicated a lot of time to making various ships and space stations from Eon's World in Google SketchUp, knowing I would need them when I eventually resumed work on the comic. I made over 50 models, some of which I later re-did with improvements, and I made Castle Gemini as well. 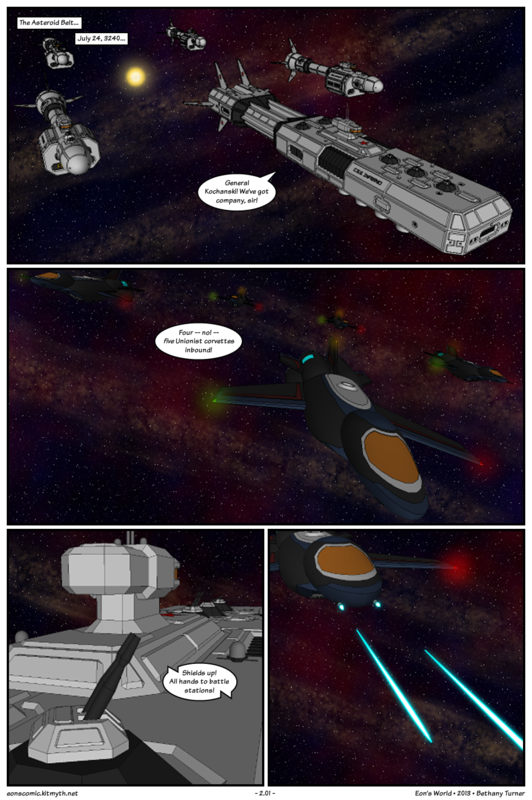 But I didn't make an improved version of the Arcturus class cruiser leading the flotilla here on page 2.01 until... well, when until I was about to begin Chapter 2, so only a few weeks ago now (I haven't even put it up on deviantART yet!)... and I needed it for the opening act in this chapter! So, needless to say, it was a bit rushed, but I think I did a good job of it all the same. As you can see, I've begun including the outlines on the models now. It's not perfect, but generally speaking, it works better, I've found, than leaving them off, since less of the detail on the models is lost this way. The next few pages were an interesting experience, with variable results, but I'm generally satisfied with how they turned out. Finally, a note on chronology. I know it's been about two and a half years since the conclusion of the Earth-Mars War in Eon's World 1.0 in real time, so I don't expect anyone to precisely remember dates from then. What you need to know is that Mars surrendered to Earth and Jupiter on July 21, 2510. So, this part of Chapter 2 is set only three days later in the comic's timeline, not months later like Chapter 1 and the rest of Chapter 2.